Take a moment and picture your childhood home. Try to visualize a short walk from your doorstep. Can you conjure up your neighborhood, nearby houses or businesses, and the people who lived or worked in them? Can you recall the events that unfolded nearby, or the activities that once filled your childhood world? Roger Engle took this mental journey throughout his hometown, and in doing so, rediscovered his childhood around every corner. 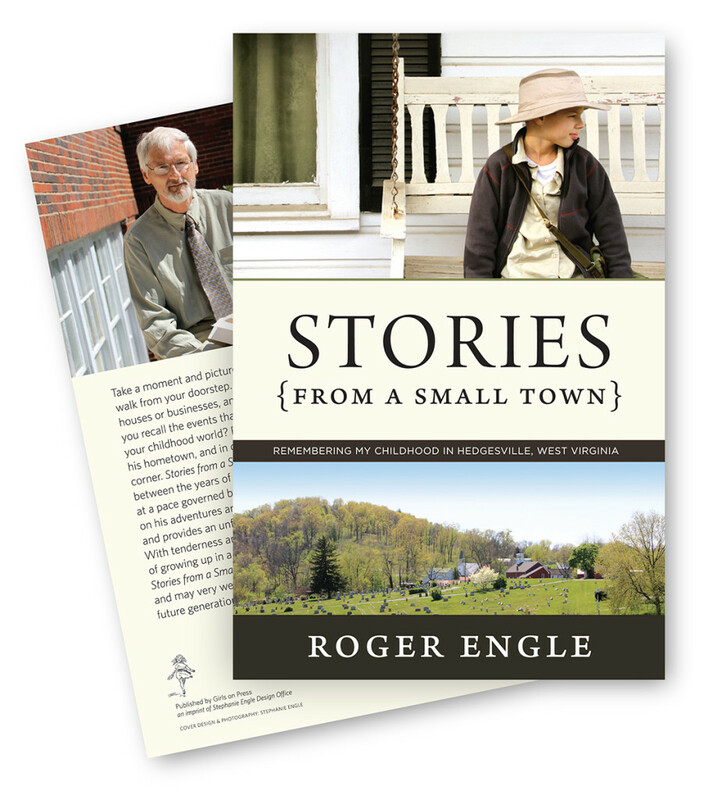 Stories from a Small Town places us in Hedgesville, West Virginia, between the years of 1948 and 1964, and encourages us to meander there at a pace governed by the whimsy of a child. Mr. Engle takes us along on his adventures around town and into the surrounding wilderness, and provides an unfettered and rather amusing view into the life domestic. With tenderness and grit, he reveals both the challenges and opportunities of growing up in a working-class family during self-sufficient times. Stories from a Small Town offers us a delightfully vivid portrait of childhood, and may very well inspire us to remember, document, and share with future generations the stories of our own lives—while we are still able.